DOVER, NEW JERSEY, OCTOBER 18, 2018 - Today, Casio G-SHOCK the latest addition to the upscale men’s MR-G line with the all new MRG-G2000R-1A timepiece. The first-ever MR-G model to feature a Dura Soft Fluoro-rubber Band, the watch combines highly durable material with soft textures for a supremely comfortable wear. Part of the brand’s flagship timepiece collection, the new MR-G model is created to be the epitome of luxury and strength with the traditional Japanese Bishamon-kiko Pattern engraved on the band. 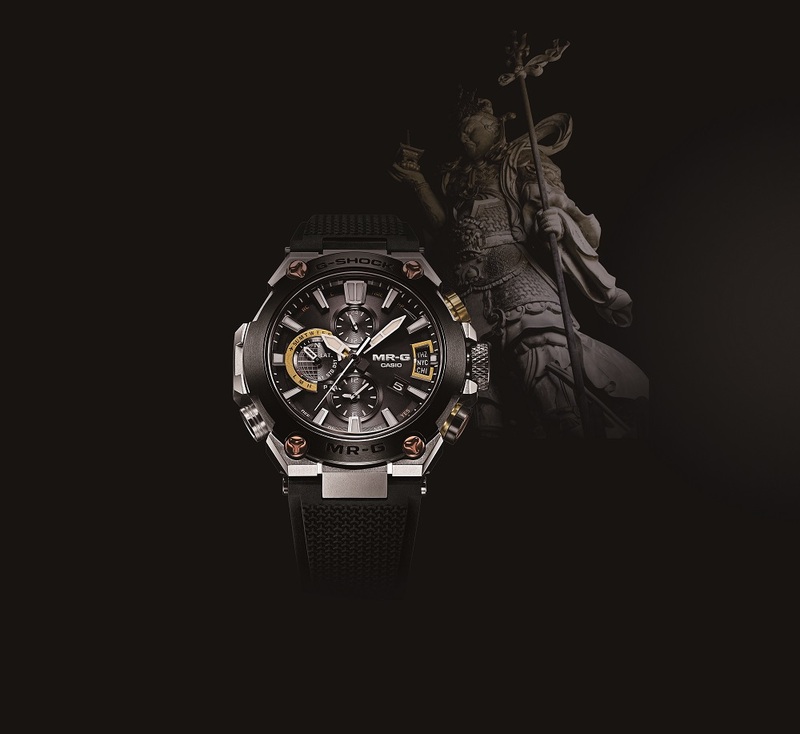 Including premium features such as a diamond-like carbon coating to increase abrasion resistance, as well as titanium that’s undergone a deep layer hardening process to render it up to five times tougher than normal, the MRG-G2000R combines Japanese aesthetics with modern technology for a luxurious, tough watch. Other top-of-the-line finishes include a scratch-resistant sapphire inner crystal coating, G-SHOCK’s legendary Multi-Band 6 technology and tough solar technology, as well as Bluetooth connectivity through the G-SHOCK Connected app. In another first for the brand, the Dura Soft Fluoro-Rubber Band and titanium case are connected via “L/R-Δ Loc" (pronounced “L-R Delta Lock"), which Casio co-developed in partnership with NejiLaw – a company known for “screws that never come loose." Based on an L/R bolt* with two nuts that lock together and spin in opposite directions, L/R-Δ Loc was created specifically for watches as a revolutionary mechanism that prevents screws from coming loose due to vibration and other forces. *L/R is a registered trademark of NejiLaw Inc. The MRGG2000R-1A will retail for $2,800 and will be available for purchase starting this November at selected G-SHOCK retailers including Macy’s, G-SHOCK Soho Store, and gshock.com.